Hey guys! Can you believe that Thanksgiving is this week? I wanted to pop in today and show you an easy technique for creating a plaid design on knit items. This will work with Stockinette knits and ribbing. It’s a great way to dress up a basic scarf or throw! 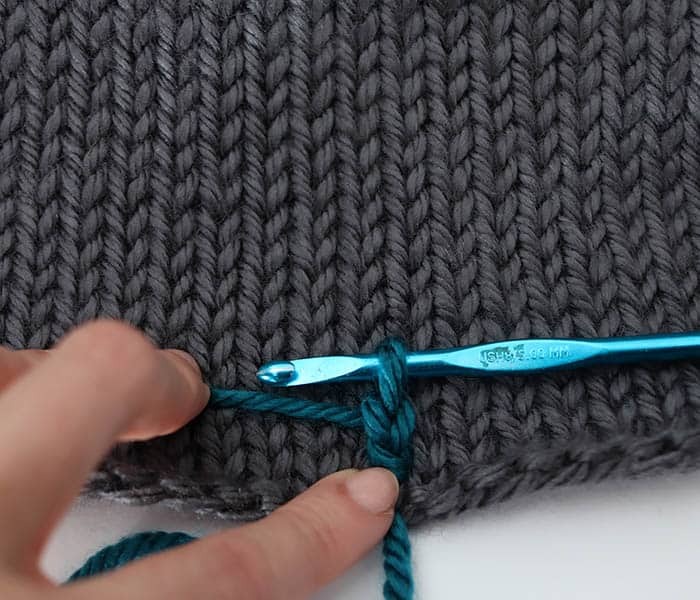 To add a plaid design, simply crochet on the surface of the knit. Once you get going, the stripes move along pretty fast. 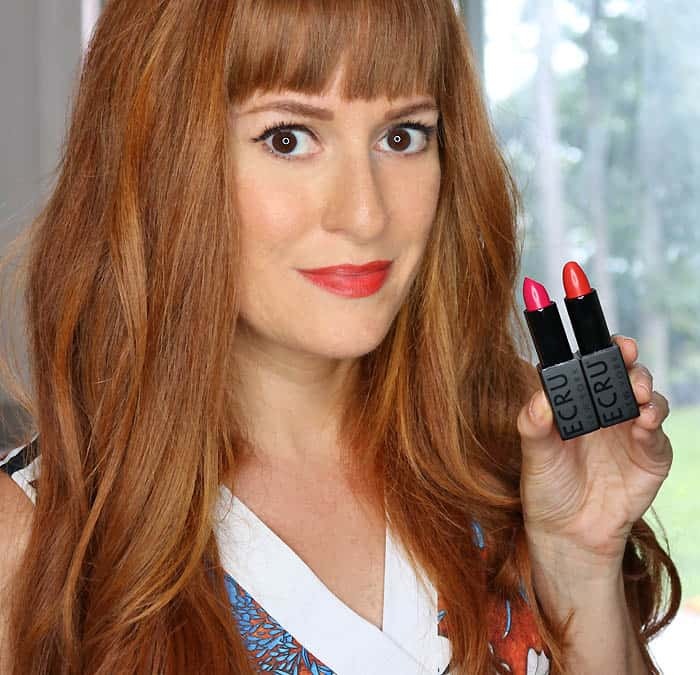 I have plenty of DIYs and patterns to share this week, so be sure to check back! 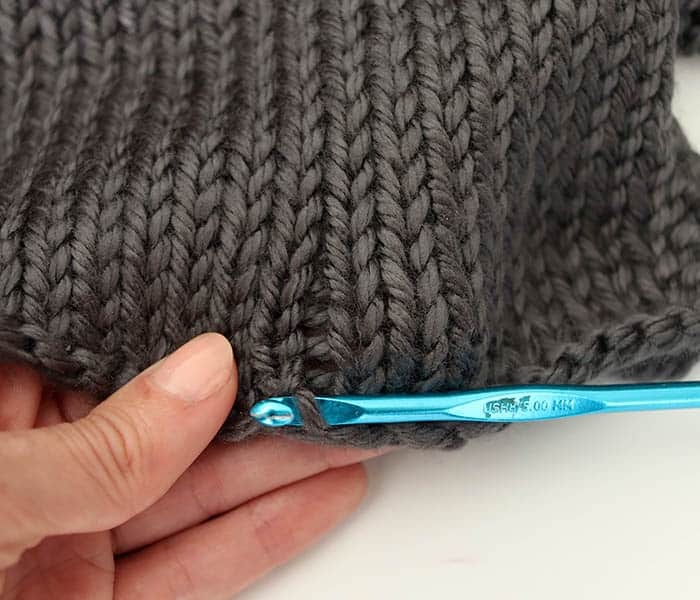 Starting at the bottom, pick up a stitch in the middle of the stitches. 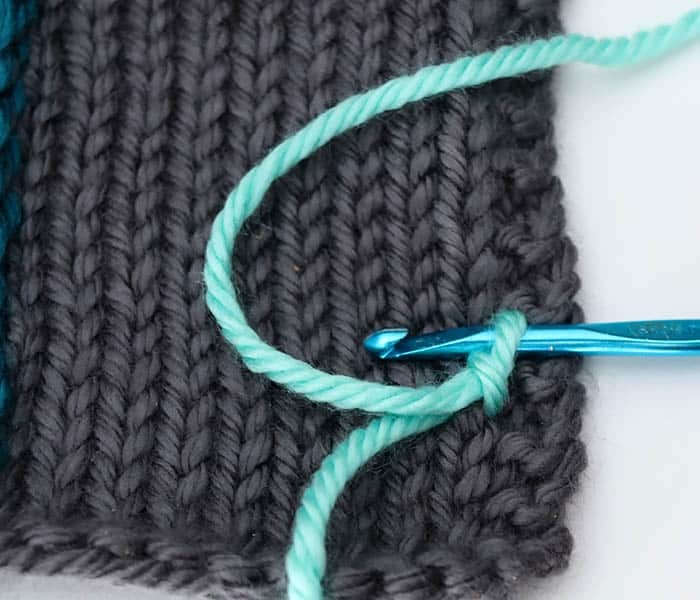 Pull the yarn through the stitch and pick up the stitch right above it. Make a single crochet. 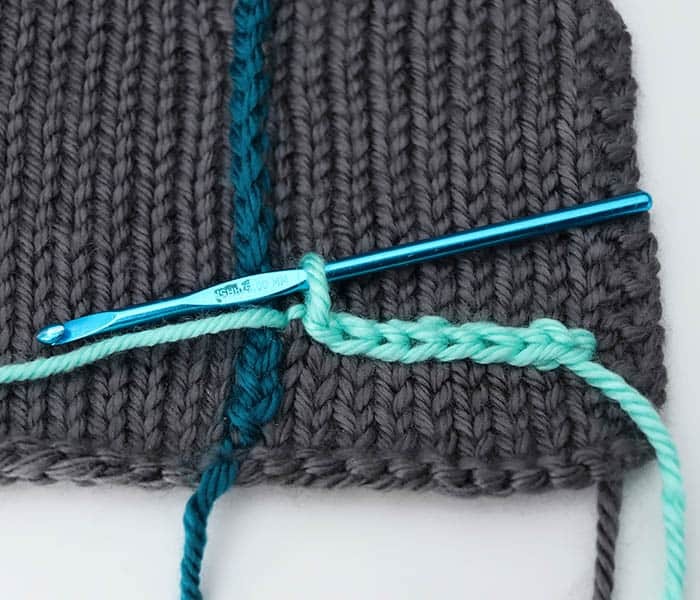 Continue working upwards by picking up the stitch directly above and making a single crochet. Work the whole length of the scarf. 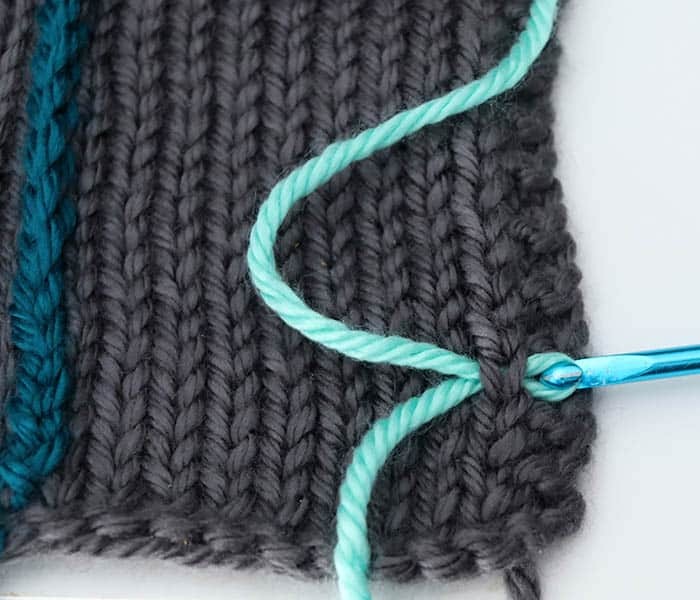 Break yarn, make a knot and weave in ends when you reach the other side of the scarf. 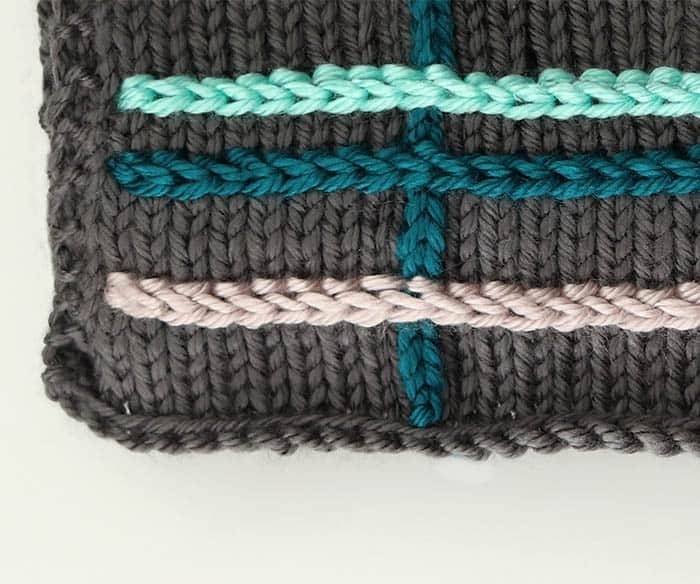 To make the horizontal stripes- starting at the side pick up both side of the stitch and pull the yarn through. 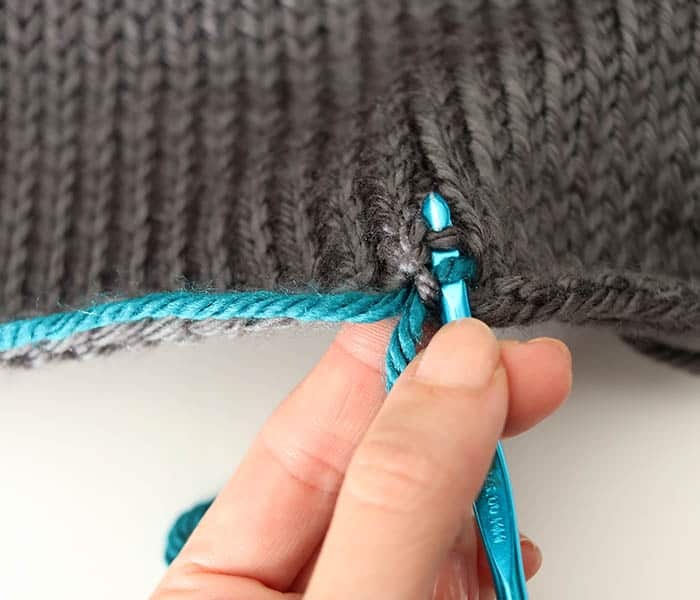 Loop the yarn over the hook and pull through. Keep working across until you reach the other side of the scarf. Break yarn, make a knot and weave in ends. Add as many stripes as you desire.